Clinic Synopsis: Some big bands use conductors and others do not. What is the best way, and how can we best serve the intent and the integrity of the music while also providing the maximum amount of guidance to students? These important questions will provide the direction as we present different solutions to these problems. Concepts and ideas will be presented using a demonstration ensemble along with access to scores and excerpts. 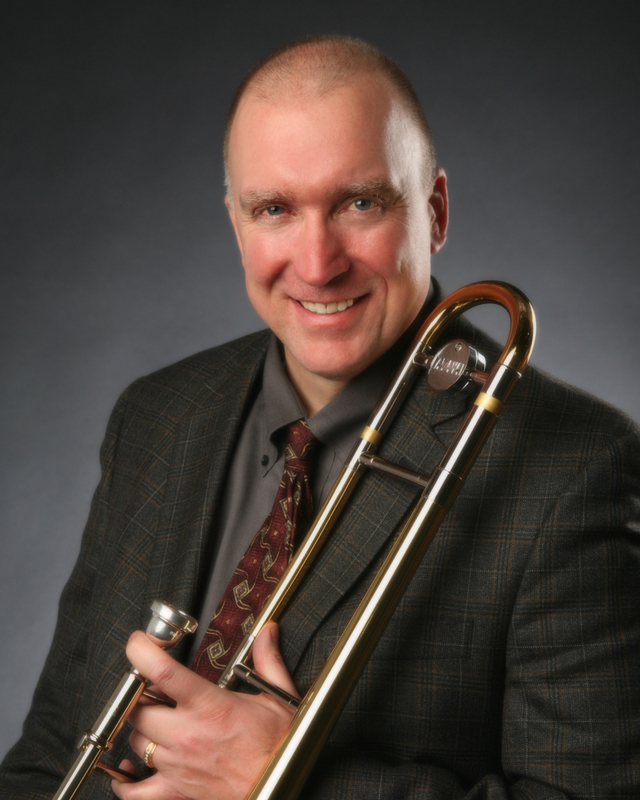 Clinician Biographical Information Dean Sorenson is Associate Professor and Director of Jazz Studies at the University of Minnesota as well as a prolific and highly sought-after composer, arranger, trombonist, educator, and clinician. Mr. Sorenson’s most recent work is FIRST PLACE FOR JAZZ, a new and innovative method for beginning jazz players published by the Neil A. Kjos Music Company. He is frequently featured at festivals and conventions around the country and abroad, and maintains a full schedule of concert and recording dates as a Yamaha performing artist. Mr. Sorenson has composed and arranged for numerous ensembles including the Glenn Miller Orchestra, the Airmen of Note, and the Minnesota Orchestra. He is active as a commissioned composer and arranger for jazz ensemble, symphony orchestra, concert band, and chamber ensembles, and has also written several sacred choral pieces. For more information please visit www.deansorensonmusic.com.